If you’re struggling to lose weight/fat or get results from your training you have to take an honest look at your diet and mindset. Most popular exuses that we hear from people struggling with excess weight are lack of time and money to cook healthy foods and work out. And while these indicate that people don’t do anything thus they don’t get results the following ones are used by people who are trying to do something but often slack off or make excuses to do less. Dieting is temporary. It can bring results but they too are most often temporary because diets have no tendency to last. Healthy clean eating instead is a lifestyle. The best part is, one dessert, cheat meal, or even a cheat day can’t blow clean eating. If you had an unplanned cheat meal it doesn’t mean all your hard work will go to waste. It will if you keep eating unhealthy after that one meal piling on calories of poor quality. One cheat meal won’t do much harm but a week worth of uncontrollable eating will. So proceed with your clean planned meals and you won’t feel a thing from that one time you ate a burger. Oh, no, you don’t want to do that either. Skipping meals will only make your midnight kitchen visit all the more harmful. If you ate something high-calorie (full-fat, sugar loaded) during the day, make sure your dinner is light and healthy. If you can’t eat in the mornings go for a smoothie packed with veggies, fruit, protein, and healthy fats. But don’t skip meals, don’t do it ever. 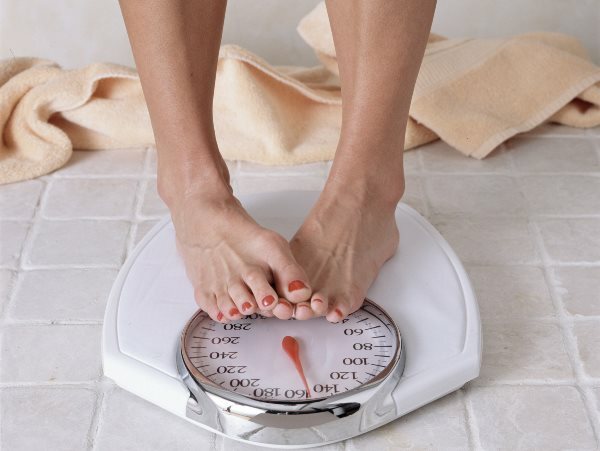 Slow metabolism and binge eating won’t help you lose weight. Rewarding yourself with food is a bad idea. The mindset that you can outtrain a bad diet is erroneous. 80% of your results are made in the kitchen, so if you need instant gratification for each workout, make it something food unrelated like a nap, long shower, beauty treatment, or new clothes. If something is labeled ‘low-fat’ or ‘healthy’ it doesn’t those products don’t pack sugars or calories. Low-fat ice cream still has calories as well as low-fat yogurt or any other product. So be sure to exercise portion control and track calories, even when it comes to healthy foods. I often hear women saying that they eat a lot because of PMS (period) but this is not a way to get results. And there is a way to control your cravings. First, make sure you get all the necessary micronutrients from your diet, take supplements if prescribed by a doctor. Then make sure to eliminate alcohol and caffeine from your daily diet to keep blood sugar closely regulated. Do not eat sugar-y foods, they only make you want more and cause cravings. Instead snack on a banana ice cream, frozen yogurt, or butter-free air popped corn. Getting fit is a long process. If you are dedicated to it in terms of diet and the intensity and consistency of your workouts you can see results in as little as four weeks. But don’t rely just on scale. If you are strength training you will gain a few pounds because muscle is denser than fat and you may not see it yet but it builds under the layer of fat, hence, the weight gain. Give it time and celebrate even the smallest progress. Change the training program and the intensity of your workouts every four to six weeks to get better results. While a clean diet will certainly do you good, exercise will help you achieve better results faster. There is never a right time to do anything, so don’t wait that some other time you’ll have more opportunity than ever to include workout into your life. Waiting till they open a new gym right next to your house? Workout at home while you’re waiting. It will definitely help you make the most of what you have now. Even ten minutes of exercise is better than none. Don’t worry, you can’t get big because women have low testosterone and in order to get really big (like a bodybuilder) you have to train very hard and heavy and take steroids. Learn the benefits of strength training for women. Good, you did it. But in order to maintain results you have to keep on track with clean eating and working out. Otherwise, all your hard work will be wasted and you’ll be back to your unhealthy habits. This entry was posted in Nutrition and tagged clean eating, gym, strength training. Bookmark the permalink.